Beautiful Girl At International Airport, Reading Her Ebook Computer And Drinking Coffee To Go While Waiting For Her Flight. 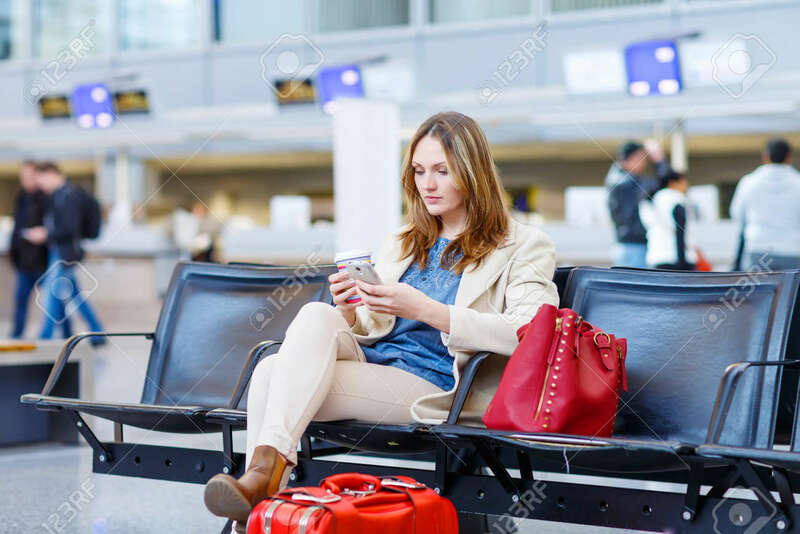 Female Passenger At Terminal, Indoors. Traveling People Royalty Free Fotografie A Reklamní Fotografie. Image 38354953.